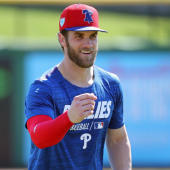 Kelly signed a two-year, $5.5 million contract with the Diamondbacks on Tuesday, Jeff Passan of Yahoo Sports reports. The deal also includes a pair of club options. Kelly has yet to pitch in the majors, having topped out at Triple-A with the Rays in 2014 before moving to the KBO. The 30-year-old pitched well during his four seasons with SK Wyverns in Korea, notching a combined 3.86 ERA, 1.31 WHIP and 641:206 K:BB across 119 appearances (118 starts, 729.2 innings). The right-hander figures to have the inside track for a rotation spot with Arizona in 2019.